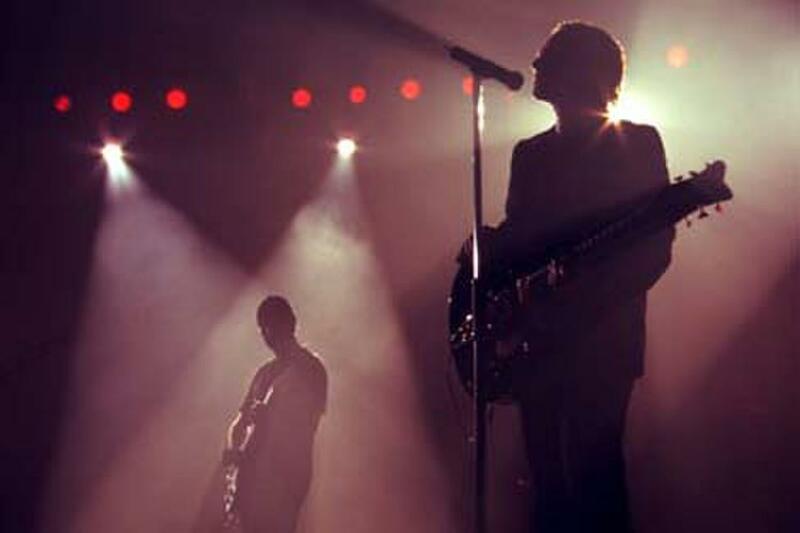 A scene from the film "U2 3D." 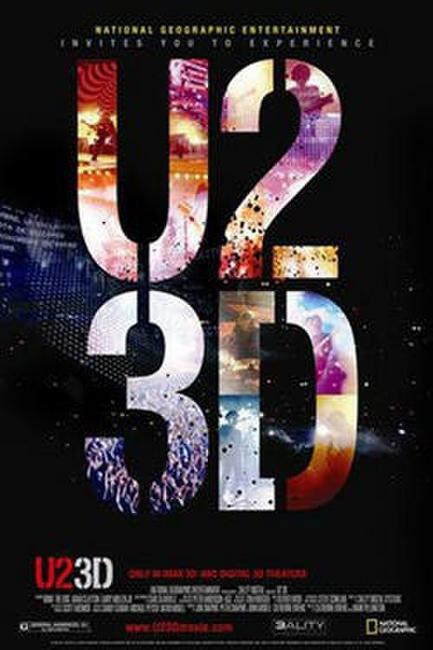 The band U2 in "U2 3D." 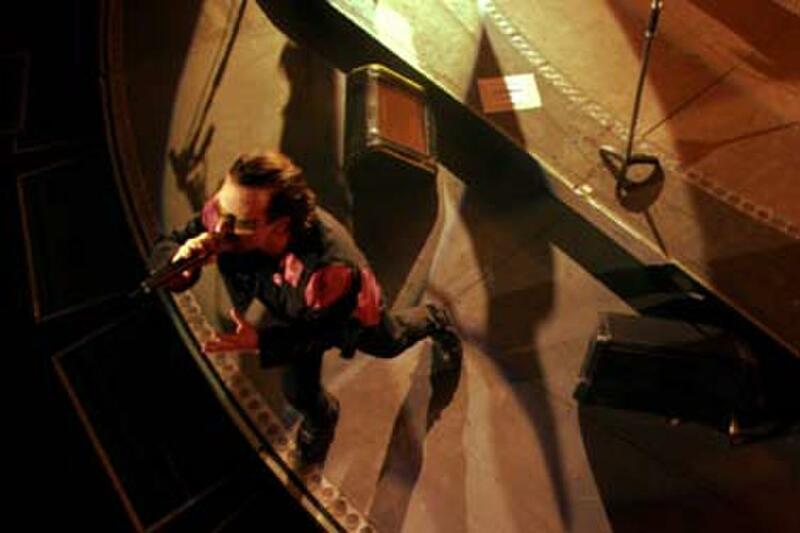 Bono sings onstage in "U2 3D." 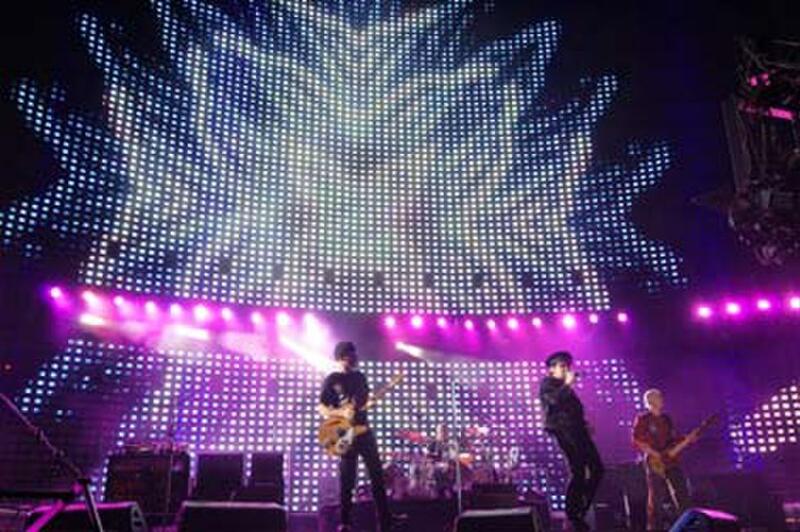 A scene from "U2 3D." 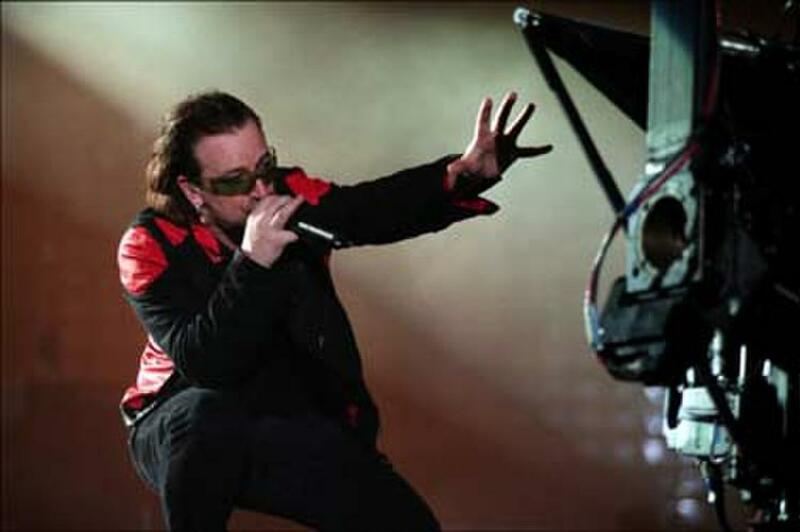 Bono belts the tunes in "U2 3D." 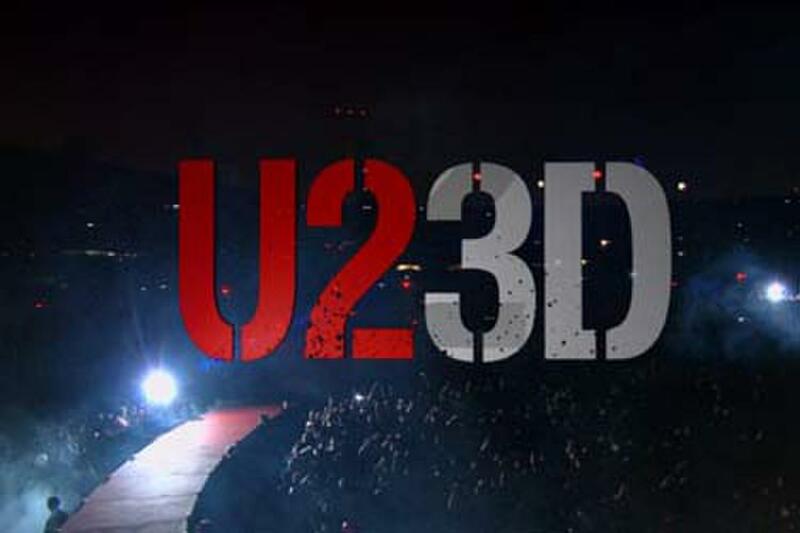 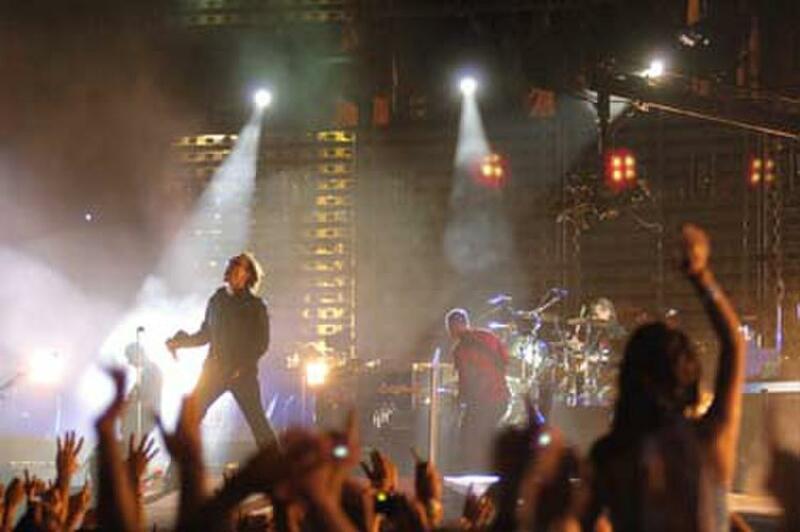 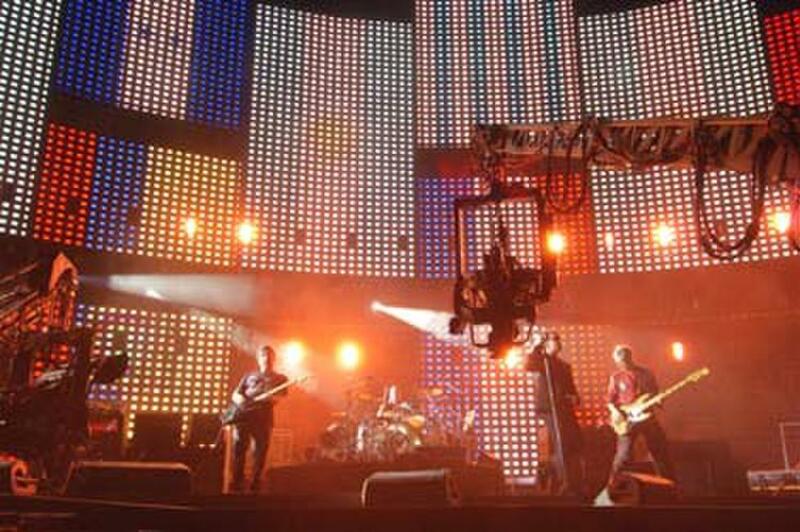 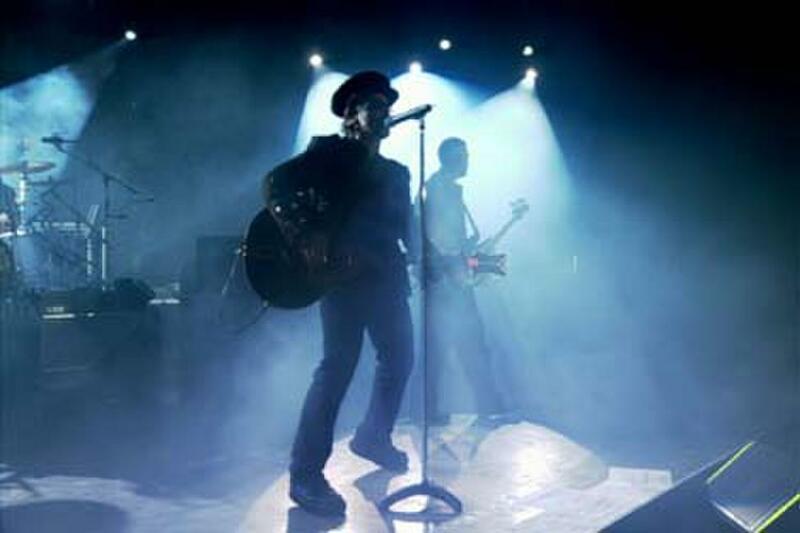 U2 performs in "U2 3D." 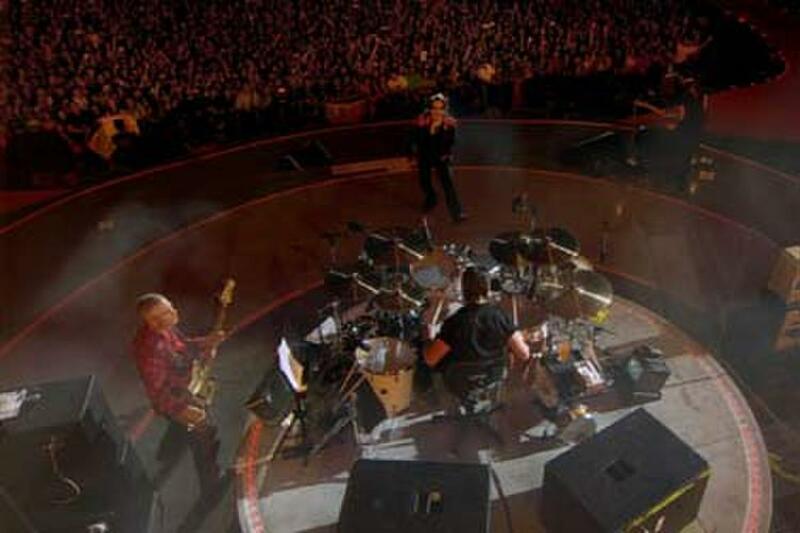 A birds-eye view of U2 onstage in "U2 3D." 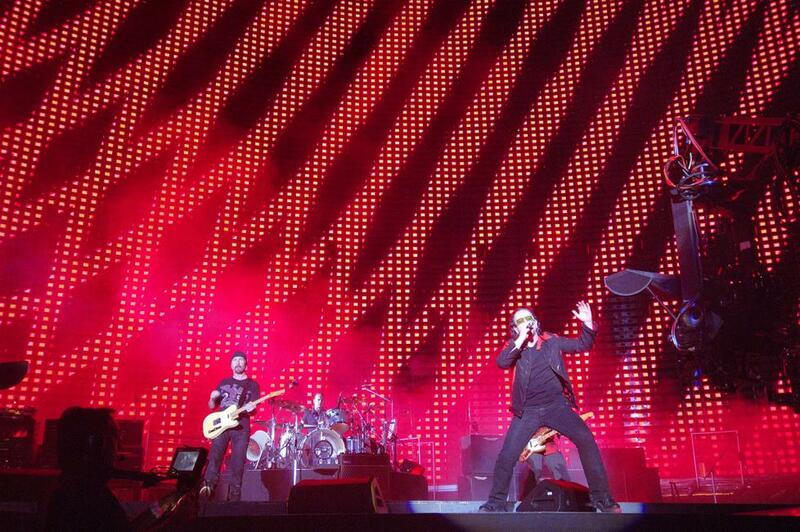 U2 onstage in "U2 3D." Poster art for "U2 3D."